Nation Zoom is an ad-supported search engine that installs into browser while downloading software from untrusted websites. This spyware search engine is also suspect of collecting users’ search and personal information. Frustrating thing about this search engine is that it is very hard to remove from browser. 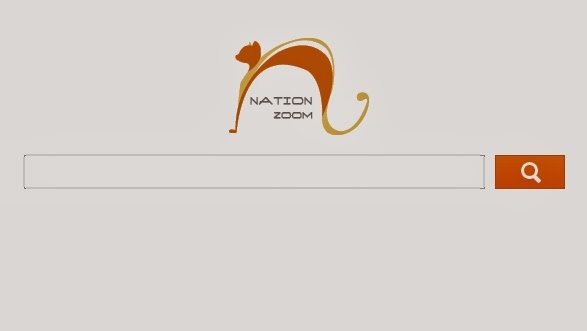 Once installed in the browser, it changes default search engine of browser and homepage to nationzoom.com. There are many other frustrating things which comes with this extension. In this post, we will see how to remove Nation Zoom adware from your system’s browser. First of all go to control panel and open uninstall programs. Here search for Nation Zoom browser protection or other installed software with similar name and Uninstall this. Also search for any other unknown installed software like Extended Protection, Wsys Control, eSave Security Control. Uninstall all this kind of untrusted and unknown software. Now you need to remove the installed extension or add-on from all browsers. See how to do it in different browsers. Go to ‘Tools’ and then ‘Manage add-ons’. Now go to ‘Toolbars and Extensions’ and uninstall Nation zoom and other unkown add-on installed in your browser. In ‘Search Providers’ section, also change the default search of the Internet Explorer. Click on Menu button, Tools and then extensions. Here find unwanted extensions and remove from browser. Then go to settings and change default search provider from ‘Manage search engines’ section. In Firefox, click on tools and then Add-ons. Here go to ‘Extensions’ and uninstall all malicious and unknown add-ons from Firefox. Then go to ‘Tools’ and ‘Options.’ Here change hmepage and search page. In Safari browser, Go to Preferences and then in Extensions. Here, Find Nation Zoom, Wsys Control or similar entries and Click ‘Uninstall’. After following above steps, it will be removed from your browser. But this is not the end. You need to be careful while browsing the web. Always download software from trusted source. Here are few websites to download trusted software. Next time, whenever you see sudden changes in the browser’s settings or homepage. You should check add-ons and extensions of the browser. May be there is any malicious extension in your browser.